Fibromyalgia is a medical condition characterized by widespread musculoskeletal pain with stiffness and localized tenderness at specific points on the body. Doctors still haven’t been able to determine the cause of fibromyalgia but there are various factors that contribute to it. People suffering from fibromyalgia experience various symptoms. These include chronic muscle pain, fatigue, sleep problems, and painful tender points or trigger points, which can be relieved through medications, lifestyle changes, and stress management. One of the treatment options that is found to be useful or helpful for fibromyalgia patients is nutritional supplements such as vitamins. The drugs or medications that are prescribed are not working for you. You are allergic to most of the medications. The medications that you are on have many side effects. You want to change to natural alternatives rather than pharmaceutical drugs. Your medications are taking way to long for your symptoms to reduce. One such vitamin which is helpful for fibromyalgia patients is Vitamin C. In 2010, the medical faculty of the Department of Biophysics at Suleyman Demirel University in Isparta, Turkey, discovered that Vitamin C along with exercise, reduced stress in fibromyalgia patients. Vitamin C or L-ascorbic acid, or ascorbate is a water-soluble vitamin that is naturally present in some foods, added to others, and available as a dietary supplement. Humans are unable to synthesize vitamin C endogenously, therefore, it is an essential dietary component. It is difficult for a fibromyalgia patient to do exercise but exercising slowly or a light exercise has been proven to reduce symptoms of fibromyalgia. A number of studies also show that regular, low-intensity exercise is one of the most effective treatments for fibromyalgia. It has been found that exercising will help lessen muscle tension and stiffness, improve sleep quality, and raise serotonin and endorphin levels, helping to reduce pain. Vitamin C regulate the antioxidant redox system in the bloodstream. The stress reduction was more noticeable in the presence of Vitamins C than in exercise alone. It is also believed that oxidative stress contributes to the pain levels experienced in fibromyalgia, and therefore, suggests that Vitamins C may help reduce free radical damage. The source of Vitamin C is from food and other sources. Some good sources of vitamin C are fresh fruits and vegetables, especially citrus fruits. Vitamin C has several important functions. It helps protect the cells, keeps them healthy and it is necessary for the maintenance of healthy connective tissue, which gives support and structure for other tissue and organs. Vitamin C also helps is healing wounds. Vitamin C is necessary for the biosynthesis of collagen (collagen is an essential component of connective tissue, which plays a vital role in wound healing), L-carnitine, and certain neurotransmitters. It is also involved in metabolism. Vitamin C is known to be safe for most people when taken by mouth in recommended doses and when applied to the skin, and when injected into the muscle, and when injected intravenously (by IV) and appropriately. However, there are also a few side effects known due to vitamin C. For some people, Vitamin C may cause nausea, vomiting, heartburn, stomach cramps, headache, and other side effects. Researchers state that the more vitamins you take the more chances of getting the side effects. For example, amounts higher than 2000 mg a day is known to be unsafe and may cause the person to experience severe side effects such as kidney stones and diarrhea. For a person who already experienced kidney stones are at higher risk even if the person consumes more than 1000 mg a day. Who and when should you not take Vitamin C? Although Vitamin C is effective for fibromyalgia patients, it is also important to note when not to take Vitamin C.
A pregnant or breastfeeding women should be aware that higher dose of Vitamin C may cause problems for the newborn baby. However, it is likely safe for a pregnant or breastfeeding women if the amount is less than 2000 mg a day for women over 19 years of age and less than 1800 mg a day for women who are 14 to 18 years of age. For infants and children, Vitamin C is considered safe when taken by mount in less amount. But it is considered unsafe if the amount is more than 400 mg a day for children between 1 to 3 years of age, more than 650 mg a day for children between 4 to 8 years of age, more than 1200 mg a day for children between 9 to 13 years of age and more than 1800 mg a day for adolescents between 14 to 18 years of age. A person who has undergone an angioplasty (a heart procedure) or before the procedure should not take Vitamin C. it may interfere with proper healing. A person who has diabetes should also be very cautious while taking Vitamin C. This is because Vitamin C may increase the blood sugar. For example, in older women with diabetes, Vitamin C greater than 300 mg a day increases the risk of death from heart disease. 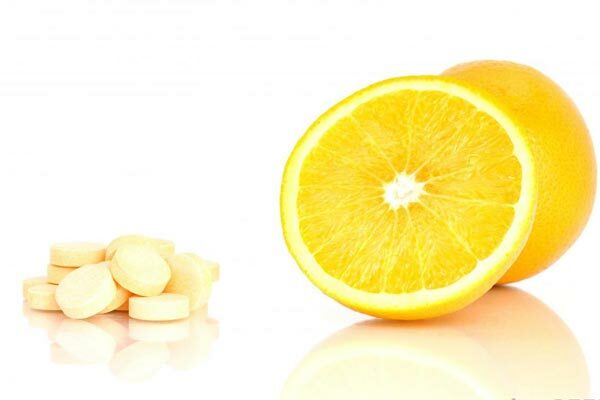 It is, therefore, recommended not to take Vitamin C in doses more than those found in basic multivitamins. Likewise, for a person with blood-iron disorder or thalassemia and hemochromatosis, Vitamin C increases iron absorption which may worsen these conditions. Rachael took the words out of my mouth. I’m not sure if this is related, but vitamin C is also used to help with healing. For burn victims, they take vitamin C to help with the healing of wounds and skin so I wonder if that healing element could have something to do with the benefits for fibromyalgia. Great advice however I know vitamin c is also acidic. I have started to alkalize my body. Ingesting acidic foods has been a challenge to cut back. I do believe in the long run it will be worth it. I guess a few doses of vitamin C in exchange for relief isn’t a bad idea. Vitamin C in the form of ascorbic acid is an acid, albeit a weak one. A person at all concerned about the acidity of ascorbic acid can easily switch to a buffered type of Vitamin C, usually sodium ascorbate. This article is badly in need of an update, using the knowledge generated by Vitamin C pioneers such as Frederick Klenner MD and Robert Cathcart MD. There are also excellent books and youtube videos by Vitamin C expert Thomas Levy MD. You should google each of them. There is no known maximum or toxic dose of Vitamin C. There are no known, confirmed deaths from Vitamin C in the scientific literature. Maximums such as 80 mg, 400 mg, or even 2,000 mg per day, as stated by government authorities, are not evidence-based limits. These limits are much too small and are sheer minimums to avoid scurvy but are extremely insufficient to treat any health challenge or infection. This daily limit can be 10,000 mg or more and should be spread out in equal, partial doses throughout the day rather than taken all at once. Sick people have bodies that need and tolerate much more Vitamin C than when they are well. This could be 50,000 mg, 100,000 mg, or even more. Adults have received up to 300,000 mg per day intravenously without serious side effects. Many people will find that intravenous Vitamin C is unavailable, impractical, or too expensive. Vitamin C is now commercially available in the liposomal form, a highly absorbable form that rivals even higher quantities of intravenous Vitamin C ineffectiveness. The idea that Vitamin C can cause kidney stones, diabetes, or heart disease has been rejected as a myth by Vitamin C pioneers and experts. Vitamin C is a superior antioxidant, antitoxin, and antiviral. Sufficiently large doses taken for a sufficient period of time are required for positive clinical results when treating many different conditions.